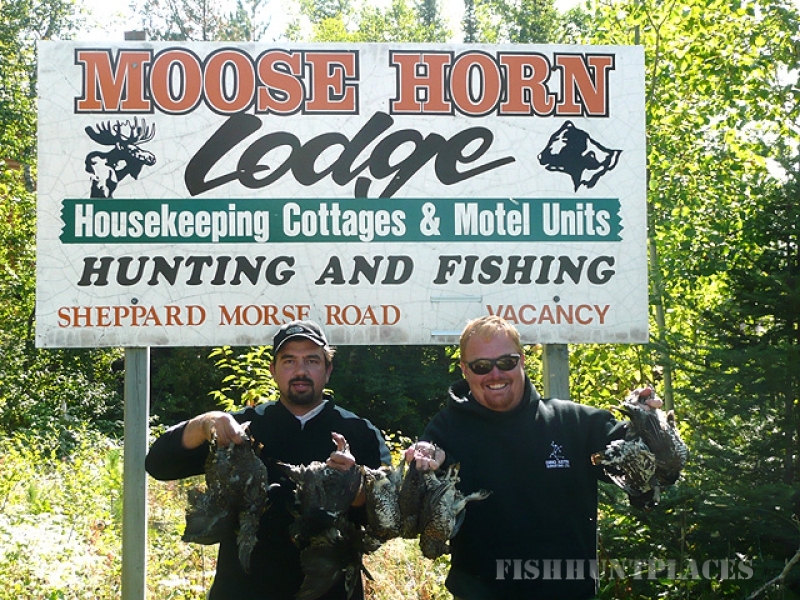 We are a family owned fishing and adventure lodge located in Chapleau, Ontario and have been in the hospitality and fishing business since 1957. 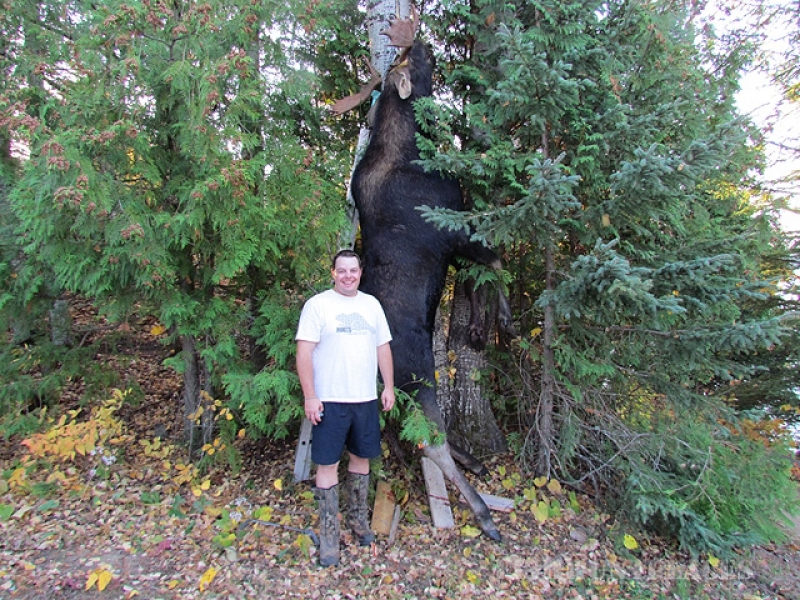 Our guests have described the cottages as an Oasis of Luxury in Ontario's Northern Wilderness. 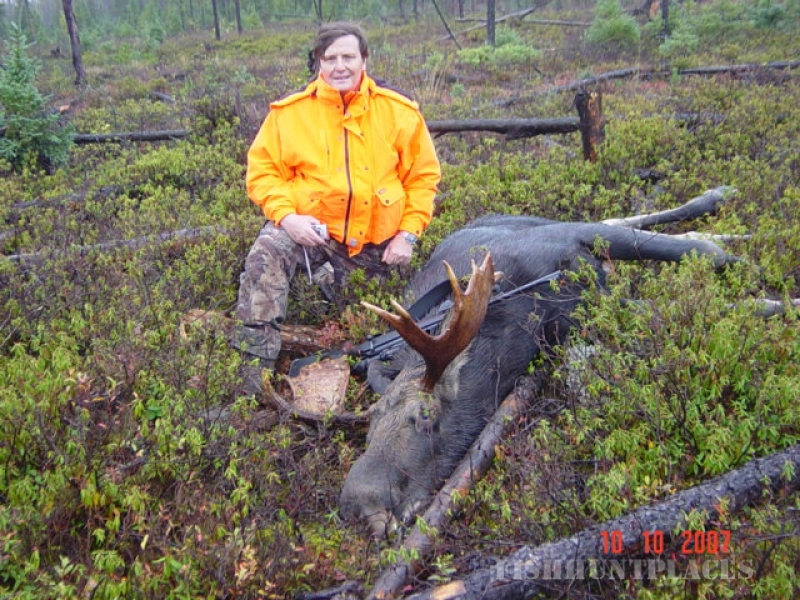 We have put all our money back into the lodge and now offer our guests outstanding accommodations that are totally unexpected in such a remote northern region. We are only four hours from the Michigan border. 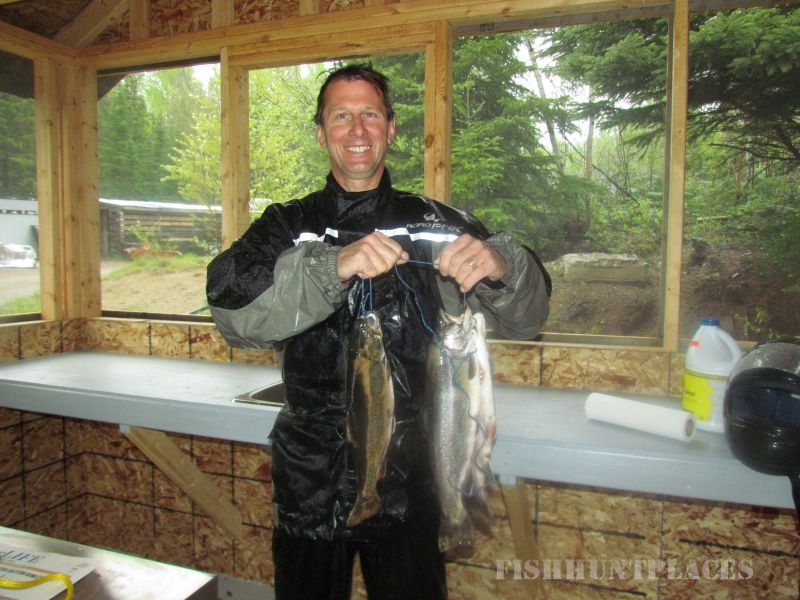 We offer a bountiful diversity of fishing opportunities for Walleye, Northern Pike, Smallmouth Bass, Brook Trout, Whitefish and Perch. 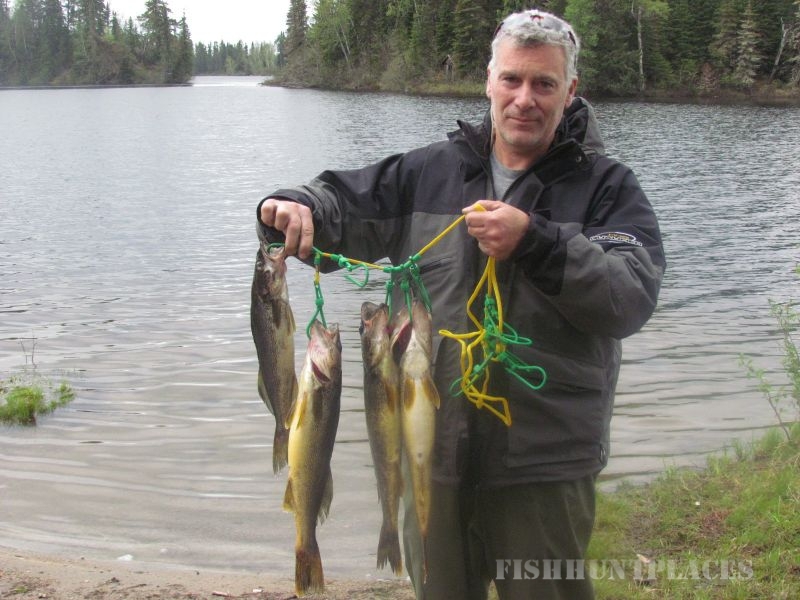 The lodge is located on McLennan Lake where the dominant species is Walleye. 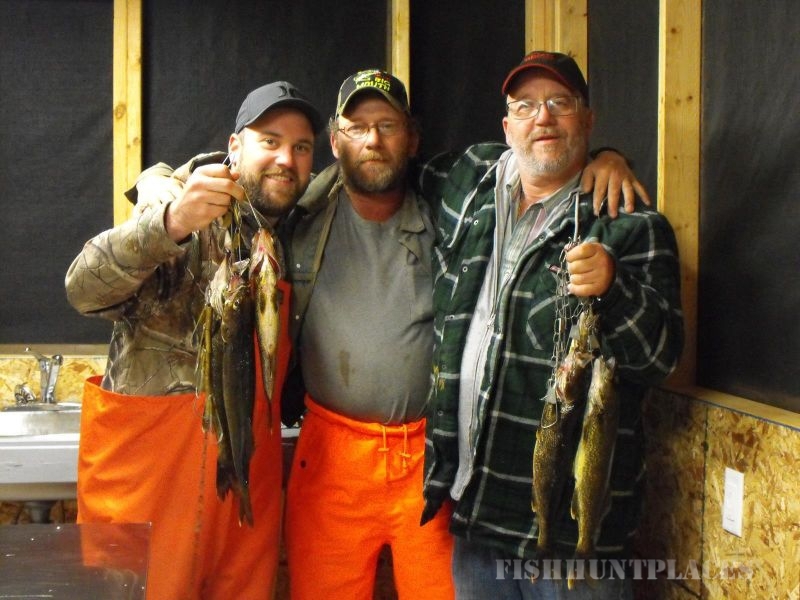 Walleye fishing on our lake is good with Walleyes being common in the 1 to 3 pound range. 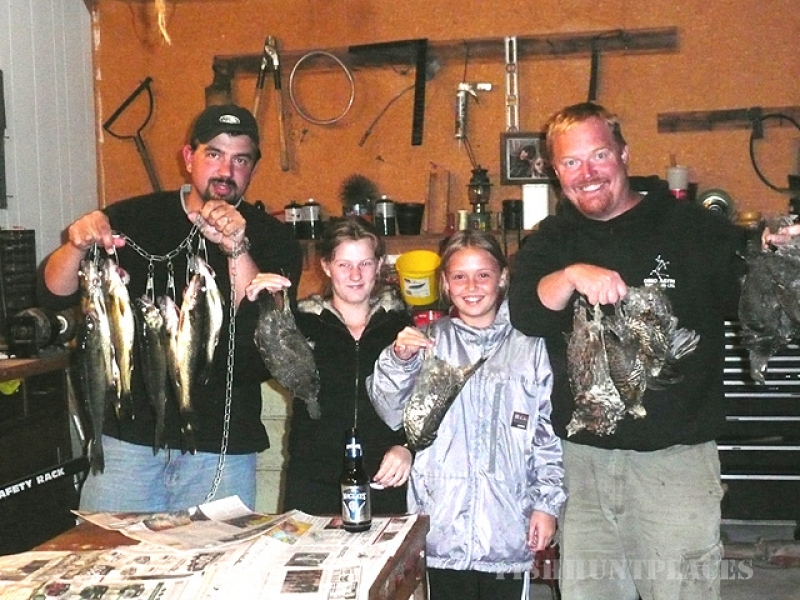 Larger Walleyes in the 4 to 6 pound range also get caught but they are not as frequent. 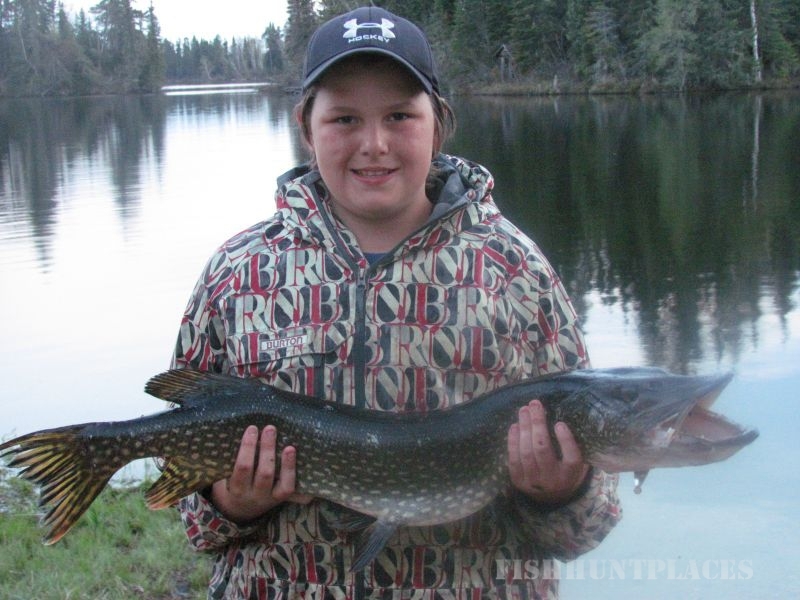 You can also catch Northern Pike and spring Whitefish fishing. It's all the other great fishing lakes in the area that has blessed us with an 85% customer return rate. Ontario has the highest population of Black Bears in the world. The greatest concentration of Black Bears in Ontario is in the Chapleau region. 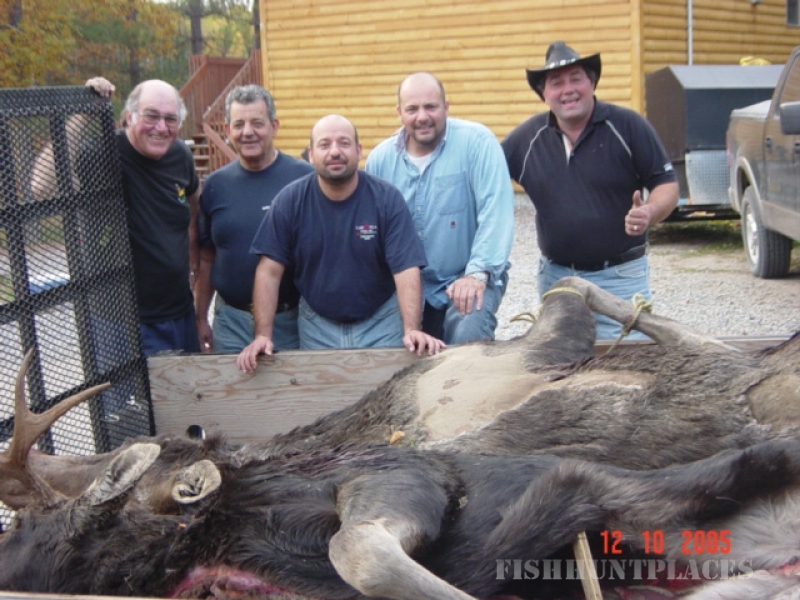 Chapleau has been called the Black Bear Capital of Canada for many years and the reputation is justified. There are four main reasons why we have so many Black Bears. 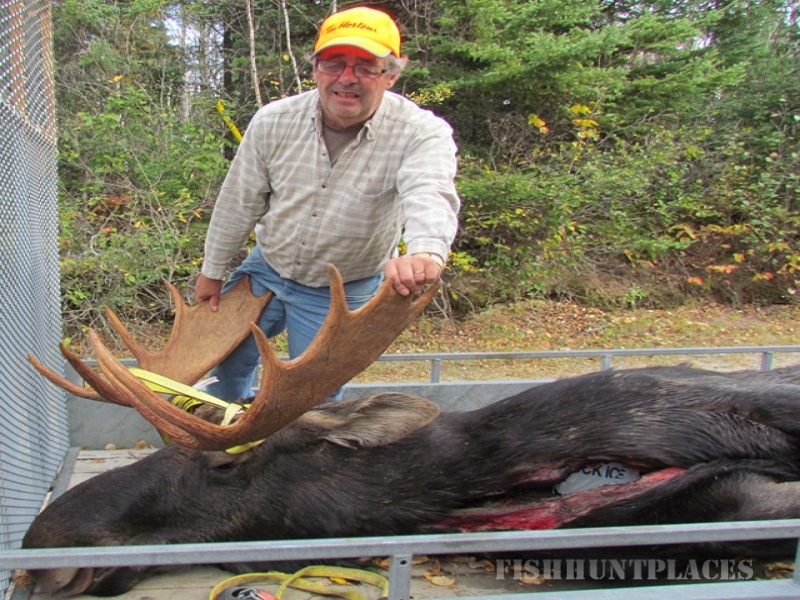 We do not have non-resident adult Moose tags available at this time. We do rent out our cottages to residents who have their own tags. Our lodge is located in WMU 35 and also right at the junction of WMU 31 WMU 32 & WMU 38. 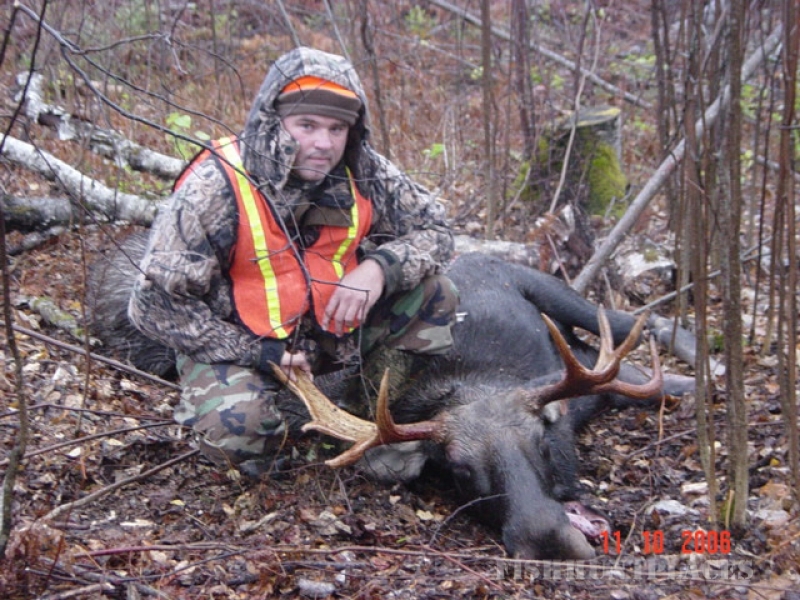 There are hundreds of miles of ATV trails, game trails, old logging roads and Snowmobile Trails that will allow you to get deep in the bush and reach extremely remote areas of the WMU you wish to hunt in. 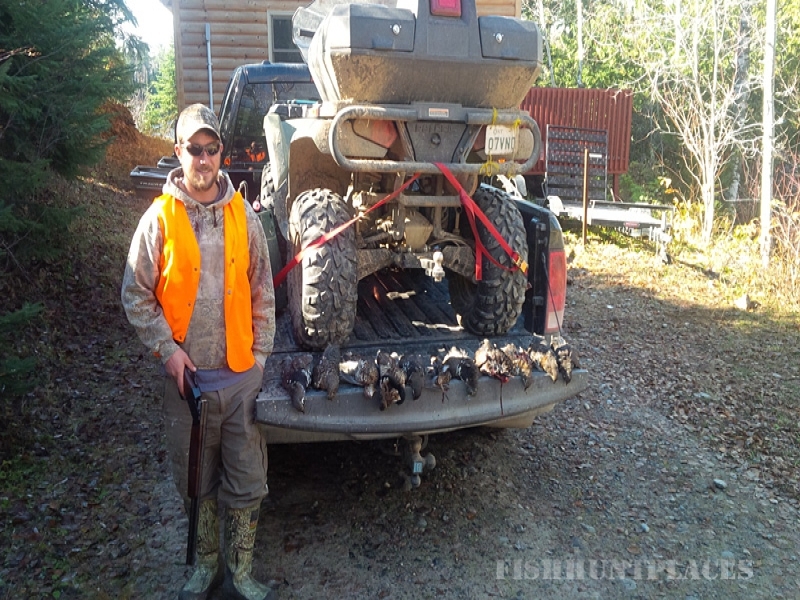 There is nothing more relaxing than fall Grouse hunting. It gives you a chance to go for a nice long leisurely walk through the forest, breath in that crisp clean fall air and enjoy a kaleidoscope of colors from the fall foliage. 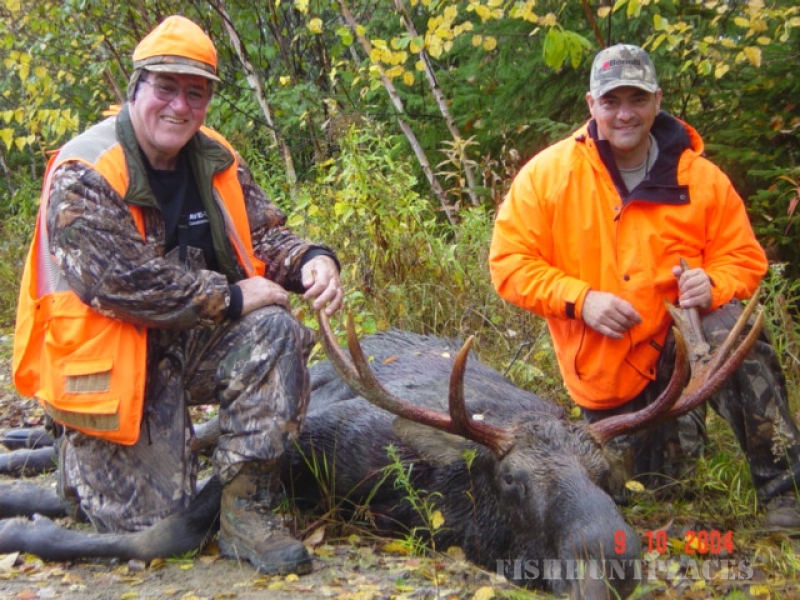 There are hundreds of miles of ATV trails and game trails that will allow you to get deep into the forest but you really don't need to go far from the lodge before seeing Grouse. The Grouse are everywhere. We even have a few pairs walking around the grounds. 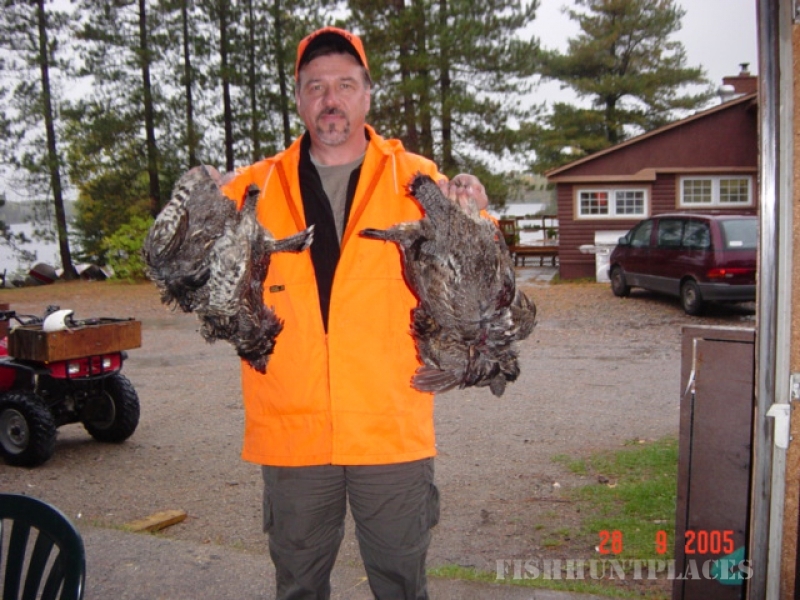 We have an unlimited number of Ruffed Grouse and Spruce Grouse for you to hunt. 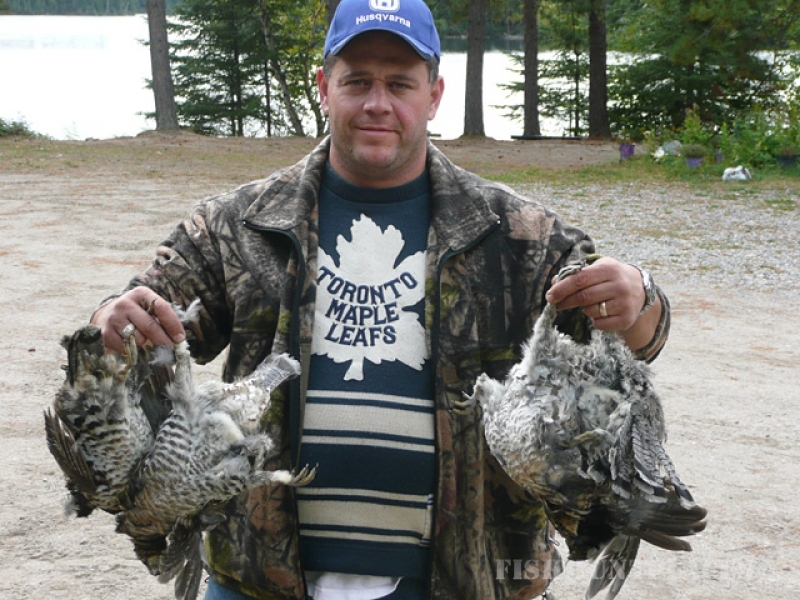 We do not have a package specifically for Grouse hunting so Grouse hunters just pay the regular cottage rates. A small game license is needed.